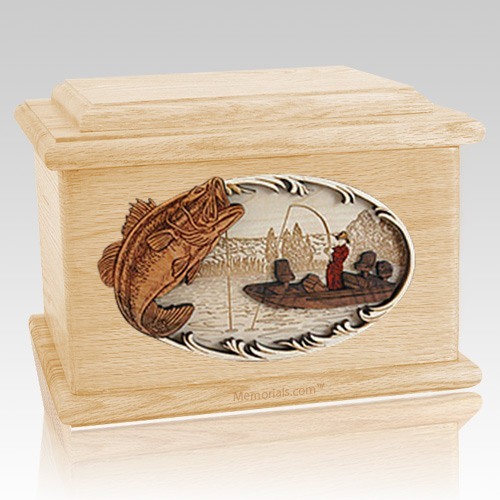 The Catch of the Day Memory Chest Cremation Urn is made from maple wood and finely crafted pieces featuring a breathtaking, realistic nature scene, expertly carved into three dimensions using up to 7 kinds of wood. This urn features a bass fish. There is no paint on this urn. This will be a beautiful family heirloom for generations to come. It is master crafted in the United States by some of the most talented woodworkers in the nation.